Julian Assange greets supporters outside the Ecuadorian Embassy in London, May 19, 2017 (AP photo by Frank Augstein). Rumors of WikiLeaks founder Julian Assange getting booted from his refuge at Ecuador’s Embassy in London have been floating around for months. 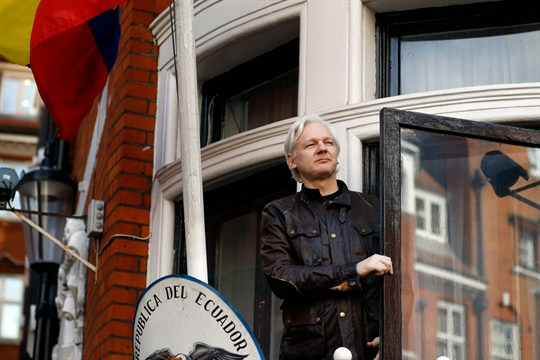 But late last week, Ecuador’s president, Lenin Moreno, confirmed the impending ouster, saying he is negotiating with British authorities to get Ecuador’s highly complicated guest out of the embassy and ensure Assange’s safety once he is evicted.